Teenagers derive great value from a stint in a lab, yet not all lab heads agree with the practice. Ava VanDommelen stood out at a convention known as Photonics West, held in January by the Society of Photo-optical Instrumentation Engineers. Her poster presentation, which described her work using photon microscopy to track the metabolic effects of lactic acid on immune-system cells, was impressive enough. But, at 17, she was much younger than most other presenters at the convention, which was held in San Francisco, California, and attended by more than 23,000 researchers, engineers and industry representatives. Whether students end up in a lab through a formal programme or on their own initiative, they can thrive with good mentorship and strong support (see ‘How to support teenagers in the lab’). Not all researchers think that training adolescents is the best use of their time, but some say that science-minded high-school students are an important resource, and that seeing teenagers’ enthusiasm in the lab makes them optimistic about the future of the scientific enterprise. Bringing an adolescent into a lab is most effective, researchers say, when the principal investigator embraces the idea and when the student is eager to learn the fundamentals of science. Bringing someone into the lab is always a gamble: no matter what their accomplishments or references are, you never know how well they’ll fit in with the team. If that person is still at school, the process can require some care. Here are things to keep in mind. • Know the rules. Countries and institutions might have laws and policies regarding young people in the lab. At Harvard University in Cambridge, Massachusetts, for example, all lab interns under age 18 must undergo lab-safety training. Also, minors aren’t allowed to be in any lab unless they’re accompanied by a supervising adult, even if the minor is simply working on a computer. • Stay realistic. Even the brightest teenagers aren’t going to be independent right out of the gate. Melissa Skala, a biomedical engineer at the University of Wisconsin–Madison, gives students in her lab well-defined projects with a clear objective. • Be prepared to shift expectations. Because most high-schoolers lack research experience, it’s impossible to predict how they’ll handle their work, says Peter Tonge, a chemist at Stony Brook University in New York. Principal investigators and other mentors should watch the students’ progress closely, so that they can adjust goals and demands accordingly. “Some of them have been fantastic,” Tonge notes. “They turn out to be as independent as a well-trained undergraduate student.” But those who struggle might need extra attention. “I feel sorry when I sense that someone’s under a lot of pressure,” he says. 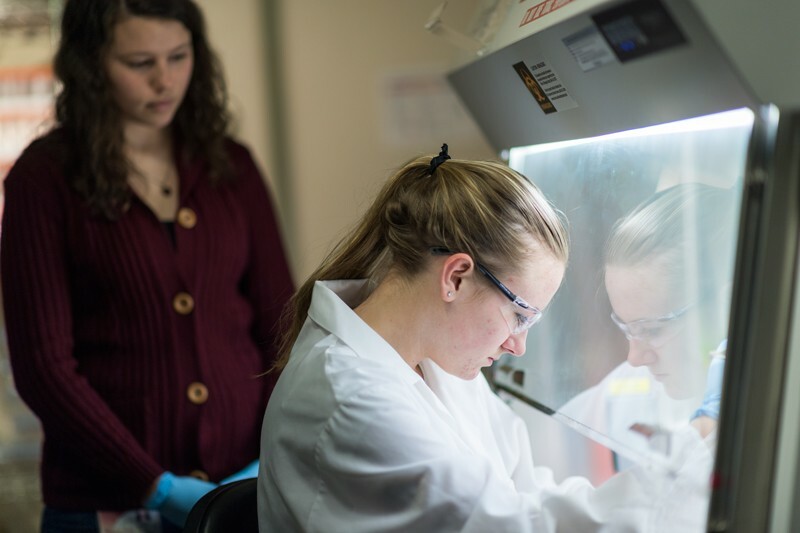 VanDommelen and another high-school student, Isabel Jones, landed in Skala’s lab through the Wisconsin Youth Apprenticeship programme, a state-wide initiative that gives promising pupils real-world, paid work experience in a variety of fields, including scientific research. VanDommelen started working in Skala’s lab at the beginning of year 11, when she was 16; by the time she graduates, in June, she’ll have logged at least 900 lab hours. These days, she estimates that she’s in the lab for 15–20 hours a week. “They spend more hours in the lab than some undergraduate students do,” Skala says. When it comes to productivity, the number of hours at the bench matters more than the age of the researcher, she says. “If a high-school student wanted to work here but could only commit to a few hours a week, I would offer to buy her a cup of coffee and give her a tour of the lab instead,” she adds. Most teenagers don’t understand how to conduct scientific research, at least in the beginning, says Sascha Schmeling, head of teachers and students programmes at CERN, Europe’s particle-physics lab near Geneva, Switzerland. At any given time, CERN hosts dozens of teens who are participating in various short-term internship programmes. 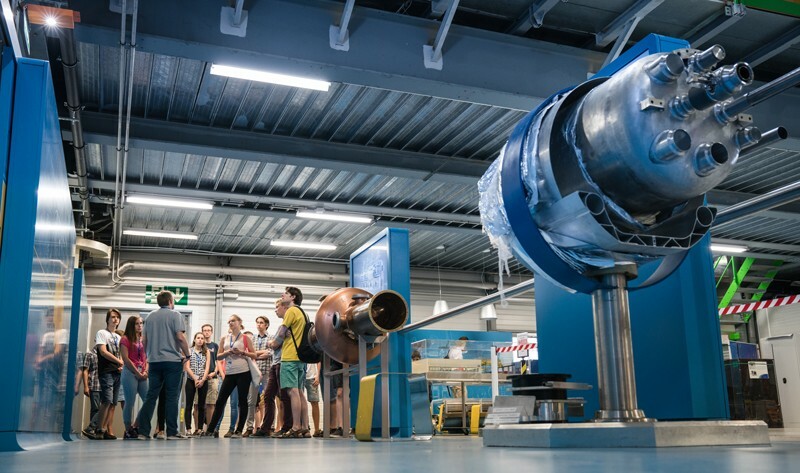 This type of outreach helps CERN to stay connected with the community while giving young people an important glimpse of science in action. In 2017, CERN started the High School Students Internship Programme, an initiative spearheaded by Schmeling that brings in up to 24 teenagers each year from one of the 22 CERN member states (in 2017, all of the students were from Hungary); selected students will complete a 2-week internship. The teens can’t really contribute much to a lab in such a short time, Schmeling says, but they do get to perform research tasks, such as analysing data from the Large Hadron Collider. “They learn what it means to work in research,” he says, and so can find out early on whether they want to pursue academic science. 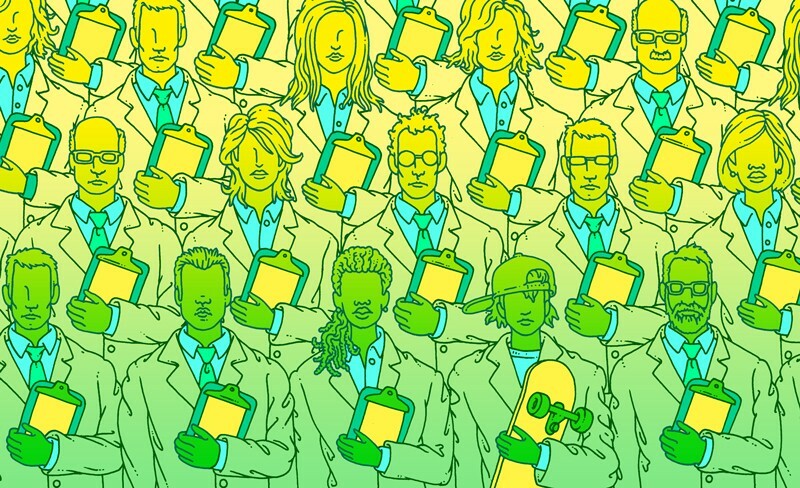 Schmeling doesn’t have trouble finding researchers at CERN who are willing to take in adolescent interns, he says — but some are more enthusiastic than others. “I’ve heard interesting remarks from time to time,” he says. One recurring theme is a concern that high-school students are simply too young for lab work. “Some supervisors speak of them as kids instead of as students,” he says. Still, he adds, most CERN researchers find that teens rise to the challenge when given work assignments. For some, bringing adolescents into the lab is an effective type of public outreach. Thorfinnur Gunnlaugsson, a chemist at Trinity College Dublin, has welcomed dozens of young students into his lab over the years, often as a result of their own initiative. “We get quite a few requests,” he says. “We take them in for three or four weeks and let them do some experiments. They can see that scientists are not portrayed correctly on television most of the time. There’s a lot going on.” Trinity’s labs have become such a popular destination that the chemistry department recently launched formal programmes for high-schoolers, including a week-long intensive course that combines lectures with lab work. Gunnlaugsson says that he never expects adolescents to make immediate contributions to his lab, but he adds that his government grants over the years have imbued him with a sense of duty. “That’s money from the public, so we’re obliged to engage with the public,” he says. “We have to let them know what we’re doing.” Opening the doors to adolescents is an important part of that outreach effort, he says. Murphy feels lucky to be in a lab where she can contribute to the research itself. Some teens she’s talked to, she says, have no chance to run equipment or perform other such tasks. She says that students should talk to lab alumni to determine whether the principal investigator will make teaching them a priority. “If you can find someone who is really invested in young people, like Thorri, you’ll be on your way,” she says. But some scientists feel that there are better ways to invest their time and limited resources than in training the typical adolescent applicant. Terry McGlynn, an ecologist at California State University Dominguez Hills in Carson, made his position clear in a 2013 post on his blog Small Pond Science. In the post, McGlynn argues that providing a university lab experience to certain high-school students exacerbates an inherent societal inequality. McGlynn tells Nature that although some high-school students who want to work in a lab are genuinely interested in science, he has found that many are mainly looking for a chance to bolster their university applications. After talking to a few students who asked to train in his lab, he learnt that none was aiming for a professorship at a small state school such as his. Most were students from private schools who saw themselves gaining positions at top research institutions. He adds that he would consider taking in a local student from a public high school if someone else in his lab were willing to provide the necessary supervision and mentoring. Still, he says, most students truly want to learn about science. Tonge has a long-standing partnership with a local high-school teacher who brings in small groups of students to work in Tonge’s lab for 8–10 weeks over the summer. He also takes in the occasional student who asks for a position in the lab after school hours. Tonge gives the students projects — perhaps using enzyme kinetics to track the effects of a compound — but he counts on his graduate students in the lab to do most of the mentoring. Correction 07 March 2018: An earlier version of this story stated that CERN has 12 member states. Who exactly counts as an adolescent?